Former deputy chief of staff: "I had heard that there were piles of gifts or things were being put in closets that needed to be acknowledged or determined who they were intended for"
Add the term "gift hoarder" to the portrait being presented in court of former Virginia First Lady Maureen McDonnell. The latest unflattering characterization came as a staffer for former Virginia Gov. 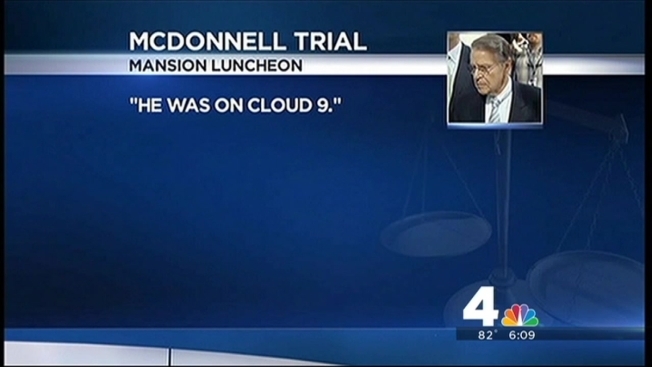 Bob McDonnell testified in the couple's corruption trial -- and it came in response to questions from Maureen McDonnell's own attorney. The former deputy chief of staff, Matt Conrad, was being quizzed about something called the Statement of Economic Impact, a form on which the governor is required to list gifts. Because first ladies are not elected officials, they don't have to turn in the form, but Conrad gave her training on how to account for gifts on it anyway. It was Maureen McDonnell's lawyer who pressed the issue, asking, "Were there any concerns the first lady was putting gifts in closets, hoarding gifts?" Conrad answered, "I had heard that there were piles of gifts or things were being put in closets that needed to be acknowledged or determined who they were intended for." The McDonnells are charged in a 14-count indictment with accepting more than $165,000 in gifts and loans from Jonnie Williams, then CEO of dietary supplement company Star Scientific Inc., in exchange for promoting his products. Conrad testified Friday there were worries that some gifts being delivered to the governor's mansion might have been for both the governor and first lady, and should have been recorded. The gift hoarding question seems to have little to do with the corruption charges facing the first couple, so it's unclear why the defense raised it. A former Star Scientific executive also took the stand Friday, describing support from the McDonnells as a helpful "halo effect" at first. Paul Perito -- who served as Star Scientific's board chairman when Williams was CEO -- testified that he didn't know that Williams was giving gifts to the McDonnells until 2013, when the investigation began. Perito testified at first, he was wary when Williams, his colleague and close friend, told him that he was befriending the McDonnells in hopes of getting their support for Star Scientific's new dietary supplement, Anatabloc. But Perito was won over, especially when he went to an August 2011 lunch at the governor's mansion with university researchers on the day Star Scientific launched Anatabloc. He said Wiliams was "on cloud nine," and even though Bob McDonnell arrived late, he said the governor's presence provided "gravitas" for the company. Perito had a much different thought in early 2012, when Williams asked him whether Maureen McDonnell could join Star Scientific's board of directors. "I thought it was the worst idea I ever heard...." Perito said on the stand. "It's a thicket of potential conflict." 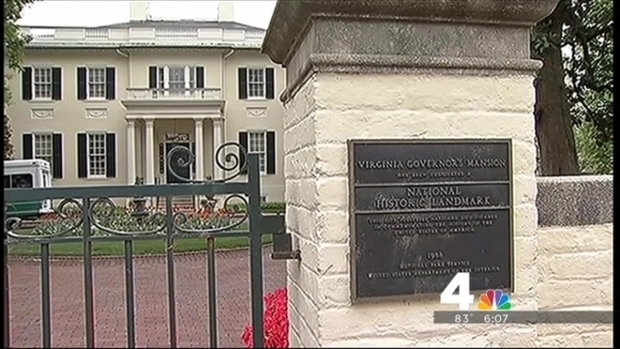 Northern Virginia Bureau Chief Julie Carey reports on testimony from a member of Bob McDonnell's cabinet and a mansion staff member during the former governor's corruption trial. Perito said Maureen McDonnell lacked qualifications, and Williams delivered the bad news to her. Prosecutors asked what Williams said about her reaction. "He said she was really pissed," Perito responded. Perito said the quest to get a state medical school to apply for tobacco commission funding for studies -- step one in the long-range plan to get Anatabloc approved as a drug -- was stymied when University of Virginia officials participating in a conference call with company representatives seemed unprepared and disinterested. He said Williams was "furious" that the McDonnells' support did not pave any inroads. Perito, a former federal prosecutor, also testified that he would have stopped Williams' gift-giving had he known about it at the time. He said Williams called him to come clean after being first interviewed by federal and state investigators. "He was crushed," Perito said. "He was sobbing. It was a very emotional conversation." He said his first question was whether Williams dipped into corporate funds. Williams said he used his own money in his effort to buy the McDonnells' influence, although he might have sought reimbursement for some minor items. Williams has testified under immunity that he lavished gifts on the McDonnells only to get their help and gain credibility for Star Scientific and Anatabloc.